Every square foot matters, especially in small houses, condominiums, and apartments . As much as we may want to keep all our belongings in our homes, the space can become disorganized and cluttered. Creating multi-functional areas is essential to both living and working spaces. While organization and decluttering has it takes some clever and creative thinking. Use Vertical Spaces – There are several up-and-down spaces in your home that can be put to good use. For example; you can purchase slim wire baskets and place them on the back of your bedroom door. This keeps contents in view and easily accessible. Shelving units are also useful — both in the home and if you rent space in a storage facility. Install Small or Rectangular Cube Shelves – Use this storage idea to stash or display essentials and “tchotchke” (e.g. books, boxes, vases, small curios and collectibles). It gives the room a cleaner and calmer feel. You can install a light on the wall to highlight your items. Built-In Drawers – Beds with built-in drawers provide a good storage solution for toys, linens, and clothes. Recessed Pantry – A cramped and cluttered kitchen can be unsightly, and make cooking difficult. For additional storage space, you can do a kitchen renovation and install adjustable shelves and sliding doors for an efficient, versatile pantry. 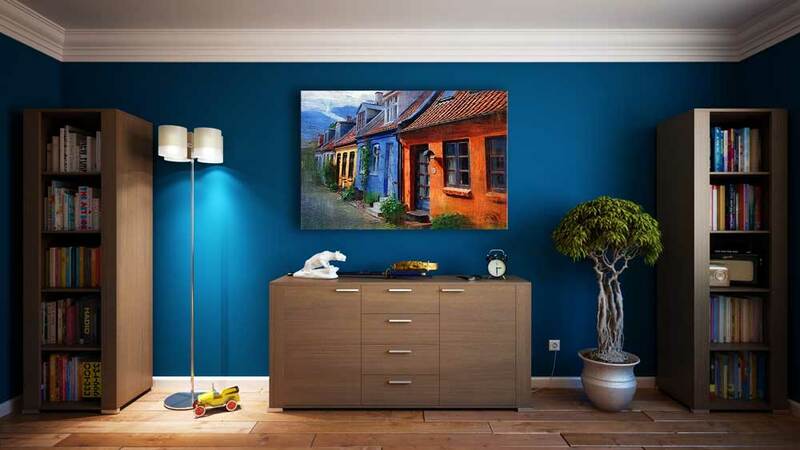 Scale-Down Shelves – Large shelves can be cumbersome in small living spaces. That is why “scale-down” shelf units can yield unexpected rewards. In addition to providing a pretty display, they offer enough space to store towels and toiletries. Shelf Dividers – If you live in a , using shelf dividers is an inventive way to separate the bedroom from the living room without putting up a wall. Stack crates or use open shelving units, but make sure they are stable and don’t pose a hazard to you, guests, or pets. Floor Cabinets – Who says you can’t store items under your floor? Floor cabinets are a modern storage solution in today’s small houses. By boosting the functionality of your floor, you can easily compartmentalize and access clothes and other supplies. 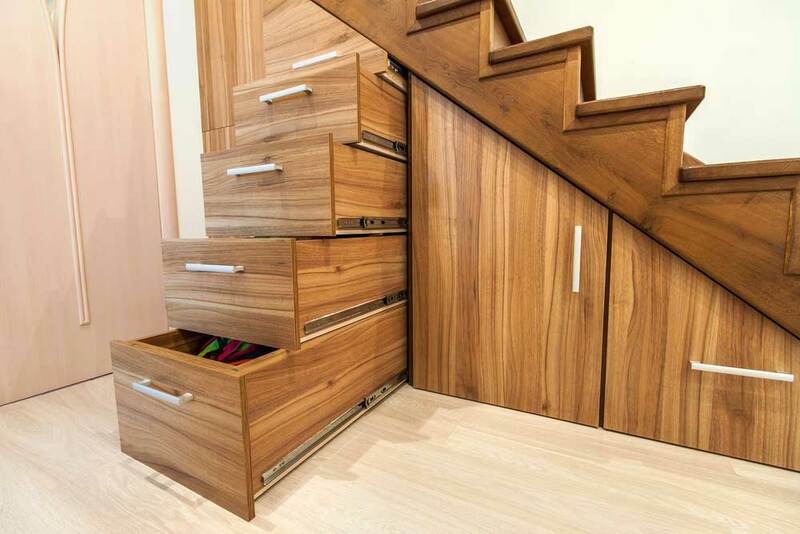 Under-the-Stair Storage – You can install glamourous, built-in storage beneath stairs to hide and organize items you rarely use. This underutilized nook is a treasure trove of unexplored space. 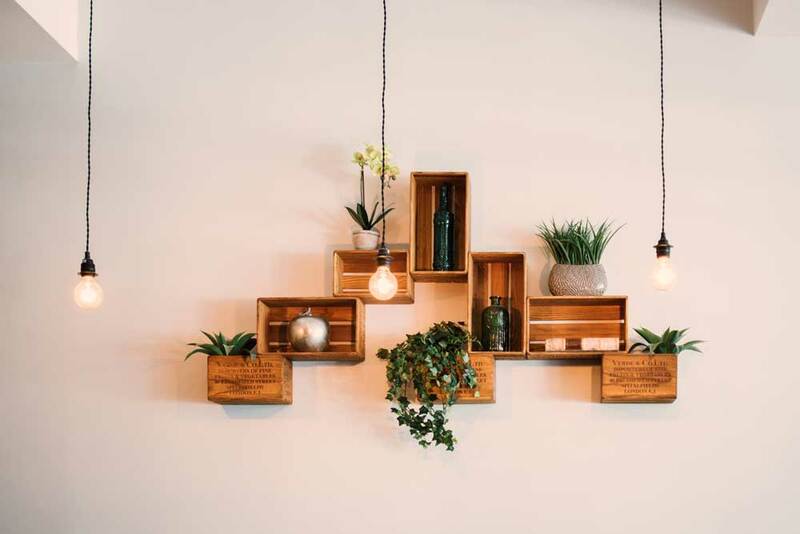 If these storage solutions don’t work for your budget or you still have plenty of items (holiday decorations, gardening pots and tools, outdoor furniture and cushions) that need seasonal storage, contact a reliable, safe storage facility to inquire about renting a unit.